According to the Understanding Territoriality: Identity, Place and Possession (TIPP) project, a better understanding of the nature of our forms of territorialities could allow us to understand and investigate tensions between the personal, the local and the general that are threatening the sustainability of the European Union. In continuity with the first TIPP residency at Cittadellarte, run within the frame of UNIDEE 2015 entitled Creating Territorialities, this second residency with the title The Shifting Place aims at investigating the aesthetic, spatial and temporal fractures of transition territorial processes, both in local and transnational, private and common, material and immaterial dimensions. The Creating Territorialities programme considered territoriality as a possibility of working on the evolution of human life and on the place as a process of co-evolution; on the interrelated transformation of societies and territories; and on the co-presence of the local and the global in our daily life. This is in opposition to the concepts of territorialisation, de-territorialisation and reterritorialization as forms of cultural, social and spatial control that can be actualized exclusively by mankind, in order to transform and dominate the territories. As well as the discussions held during the Creating Territorialities week residential module, this second week residency module will also establish interactions with locals through their ways of telling stories about “their” own territory, considering people as fundamental tools for revealing some of the evident and hidden, dominant or specific forms and processes of the Biellese territorialities. The module is articulated in three parts: three days spent around the Biellese mountains, hosted by the "agents of changing", members of the Biellese in transition net; the individual and collective working week at Cittadellarte; and the public presentation of the module's outcomes. 10 artists and professionals from different fields, related to the investigation on forms of territorialities, will be selected via open call to participate to The Shifting Place. 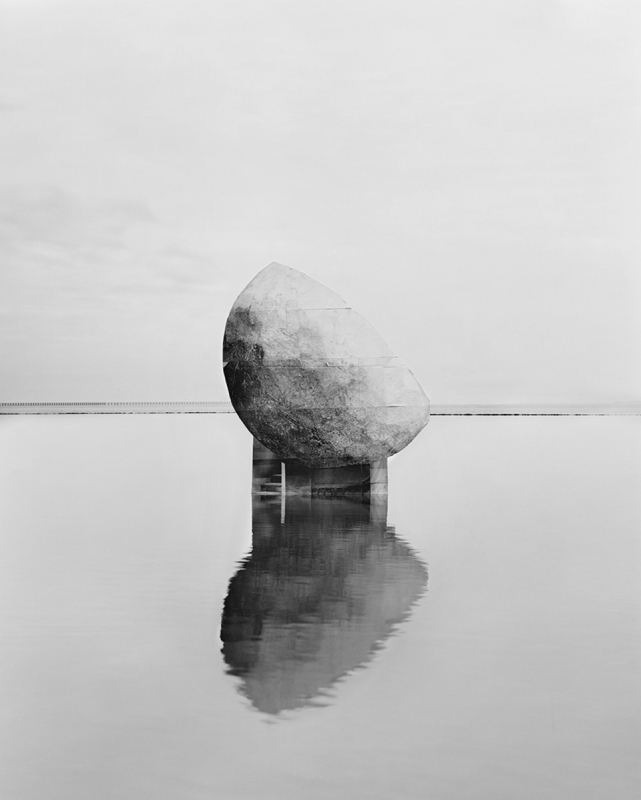 Aesthetic, spatial and temporal fractures of transitional territories. 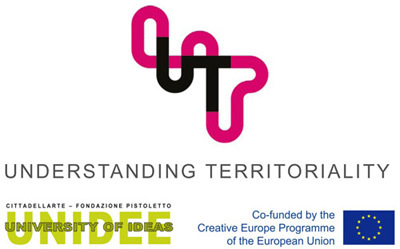 This second weekly residency, organised by UNIDEE - University of Ideas and taking place in Cittadellarte - Fondazione Pistoletto, is developed in the frame of Understanding Territoriality: Identity, Place & Possession, a project co-funded by the Creative Europe Programme of the European Union and produced in partnership by Fabrica (UK, http://fabrica.org.uk), Netwerk (Belgium, www.netwerk-art.be/en), Otvorena Soba (Macedonia, www.publicroom.org) and Cittadellarte - Fondazione Pistoletto (Italy, www.cittadellarte.it). 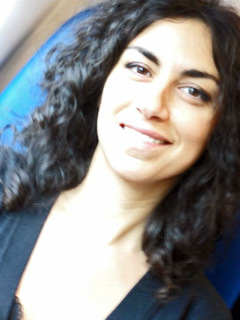 Giusy Checola (San Severo, 1973) is PhD researcher at University Paris VIII Vincennes Saint-Denis (France) and curator of artistic-pluridisciplinary projects mainly focused on the relation between art and public sphere, developed in interaction with cultural geography and geophilosophy. Currently her work focuses on place-making, on artistic intervention in public sphere and its effects in material and immaterial dimensions of the public and the common dimensions. Founder of the platform and archive Archiviazioni (Southern Italy), she has been researcher for editions 2013 and 2015 of International Award for Excellence in Public(USA/China) and mentor for UNIDEE in June 2015. She’s member of the curatorial board of SoutHeritage Foundation of Matera (Italy) and co-director of Maverick Campus (Basilicata region). She’s contributor of Domus magazine. For applications and eligibility criteria please refer to OPEN CALL.